In Jungian psychology, the shadow or “shadow aspect” may refer to (1) an unconscious aspect of the personality which the conscious ego does not identify in itself. Because one tends to reject or remain ignorant of the least desirable aspects of one’s personality, the shadow is largely negative, or (2) the entirety of the unconscious, i.e., everything of which a person is not fully conscious. In Kris Ferraro’s client work she works directly with the shadow self. She has found it to be a very effective way to find and clear the parts of the self that hold us back from being who we want to be. In this interview she shares a simple process that you can use to tap with your shadow self. 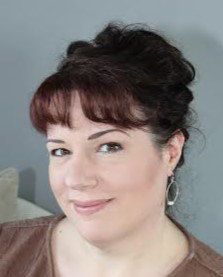 About: Kris Ferraro is an Energy Coach, speaker & teacher based in northern NJ. She is the creator of Spiritual Freedom Techniques, a series of practices that combine ancient wisdom with EFT for transformation. Kris is a “true believer” in our innate ability to heal and helps clients step into their power and purpose. This was really powerful, thank you. I loved what Kris said about this kind of work from the inside out serving a higher purpose in the world. Thanks Gene and Kris this was great!